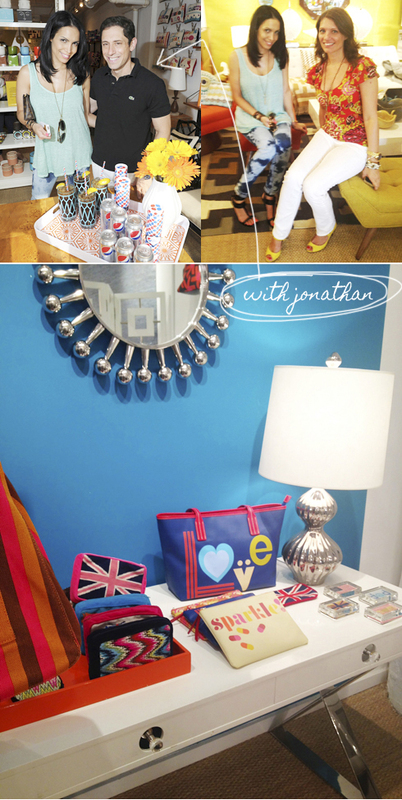 Anyhow, last week I was invited to the Jonathan Adler's office here in NYC & finally met the man himself. I remember how much of an inspiration he was for me when I first started my business.... I've always been attracted to his design aesthetic & even have his Meurice lamp in my apartment, it's even lovelier in person by the way! 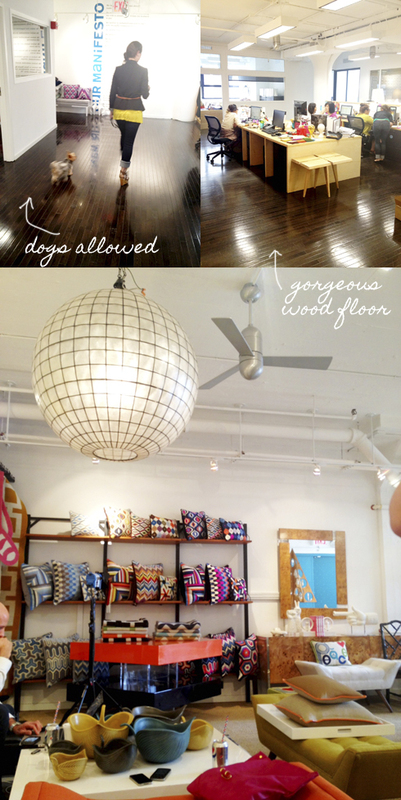 The place was huge - with an entire showroom & all employees were allowed to bring their little doggies to work, how cute! 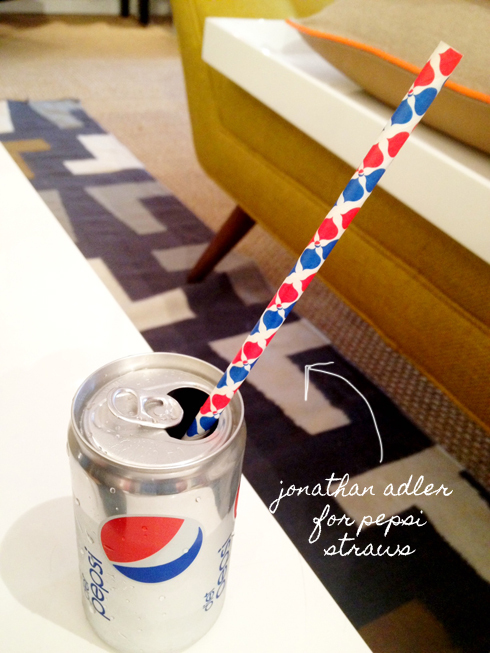 On another note, Jonathan recently finished a collaboration with Pepsi on these cute red, white & blue biodegradable straws... you can actually see them in this post! They ended up giving me a pack, which I used for my 4th of July dinner party. I'll post those pics soon too! Are you a fan of Mr. Adler's work? Do you own any of his stuff? -all images by jen ramos except the one of Jonathan Adler & I ...& Jen. Wow, what a beautiful place! Love all the bright colors and fun patterns. Looks like you had a great time! Such fun and inspirational pictures! I can't help but love everything Jonathan Adler- the colors, designs, everything is perfect. 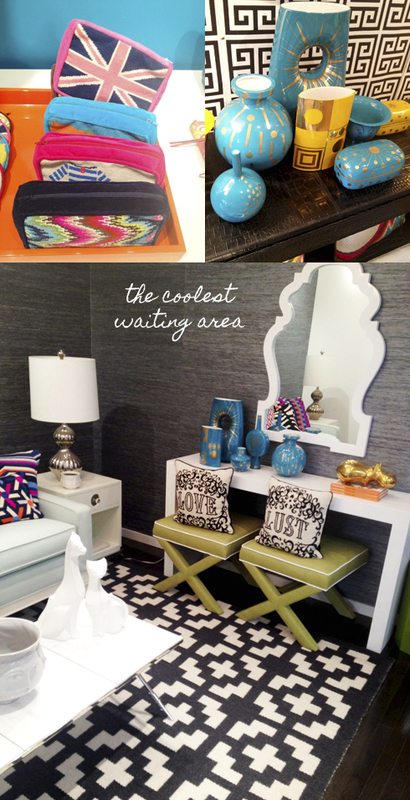 I would not mind waiting forever in this waiting room! That office is soo inspiring. I'm overwhelmed by all the pretty things! His office is STUNNING. I featured his home on my blog once (just like I did yours!) and everyone was astonished!! I wish I could have all of his ceramic pieces... beautiful! Oh & love the Pepsi/JA straws! what a gorgeous space! i love all the color! He always makes every room so bright and fun without being overbearing. love the post! !amazing colours!point to the coasters! These are SO gorgeous! I'm in love with him, so this makes me so jealous you got to go inside his studio! His office is exactly as I would expect - bright, colorful and inspiring! Working there day in and day out would surely inspire some creative ideas! Thank you for sharing! Thanks so much for sharing this. Love his office. Love him. Truly inspiring! Awesome colors and patterns that pop! I love his office especially the waiting area and black and white "Irresistable Giftables!" Good grief. Love the space, of course I'm not surprised at how colorful and chic it looks! Lucky you that you got to meet him! Ack! You are so lucky! I love Jonathan Adler. I have his nelson lamp and want to get some of his figurines, they are just too fab. He is such an inspiration and now that I see his employees get to bring their dogs to work I love him even more! What an amazing opportunity,; love the place + I love the straws! Big fan of Jonathan Adler's-thanks for sharing! LOVE those straws...a bit obsessed with paper straws, especially polka dots, but haven't seen red, white and blue! SPEARMINT baby: ha! I know right...he actually told me about his doggie Liberace, sooo cute! How freakin amazing you got to do that! Love it! Thanks for sharing!! so amazing you got to meet him! And just saw him on Bravo's 10 Things That make me smile and saw his office on there. Love that they can bring dogs! Oh my gosh so awesome that you go to go to the office and meet him! That looks like the most fun place to work!! i've not heard of him but thanks for sharing!!! It's always nice to find new discoveries in relations to design on your blog, Jen. Those pepsi straws are soo pretty! Can't wait to see your pics of how you used them for your dinner, which im sure your hubby cooked delish dishes, hehehe...envious! I gotta say, those neon pattern pillows caught my attention, they are simply gorgeous! Great way to brigthen up any boring room! Don't you think?!!? Oh wow! It's my dream to meet The King of Colour! I too loved the manifesto, and was shocked to read he'd never won any awards for his designs - crazy or what?! This is amazing...I love him! I'd love to have an office like that one day. 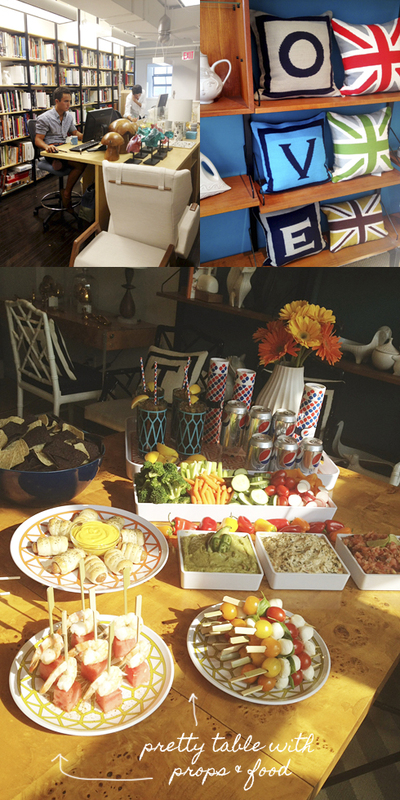 Those Pepsi straws are genius, I need some of those in my life. What a beautiful office, he has an amazing taste. Like the blue santorini vase and pandora box. So wish J. Adler would open a store in South Fla.